Pentax K-5, Pentax DA*300mm f/4 lens @ f/5.6, 1/1000s, ISO400, handheld. 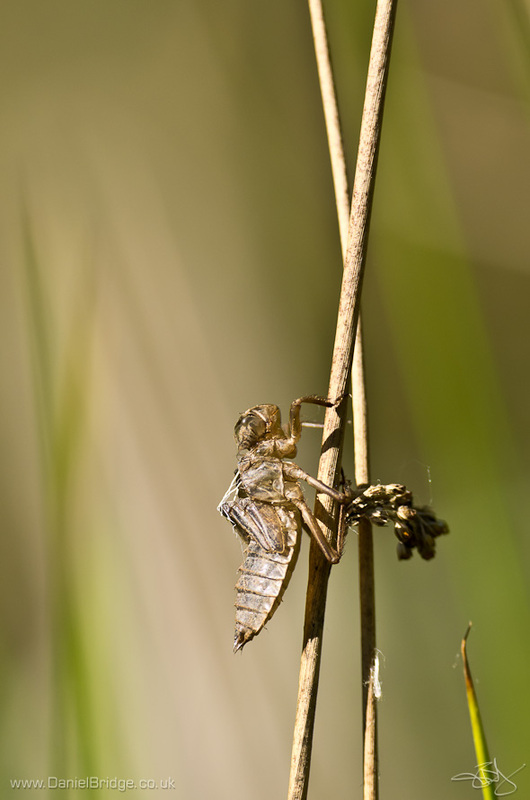 Looks like that of a broad bodied chaser dragonfly, which are emerging at the moment. Could well be Neil, although we only saw Four Spotted Chasers on a nearby pond, don't know whether that's a possibility for this exuvia.